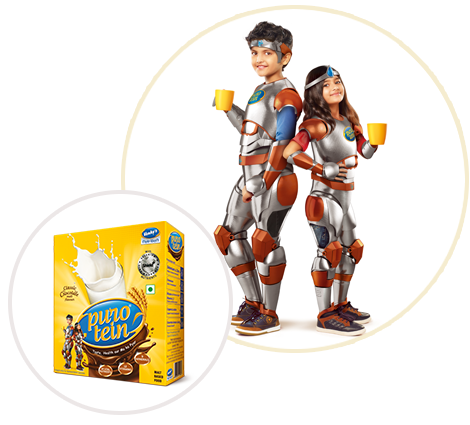 Purotein is a unique rich chocolate, vegetarian health drink which provides essential vitamins and minerals to meet the nutrition and energy demands of a growing child. Purotein contains vital micronutrients like Copper, Selenium, Vitamins A, C and which are essential for strong immunity. Protein contained in Purotein, helps muscle growth leading to healthy weight gain and height in a growing child. Purotein provides essential vitamins and calcium for strong teeth and bones. Purotein contains vital vitamins which aid in metabolism and release energy from food. Vitamin A in Purotein is higher than other commercial health drinks, which helps in vision and immune function. Purotein is also a source of antioxidants that support in the maintenance and development of healthy tissues and cells. supplements of optimum quality benchmarks, making use of ingredients of the highest grade and manufactured in a world-class safety environment. Our product range is developed considering the human body's ability to process the ingredients (bio-availability). manufactures products using high-end technology but also delivers actual value to its customers through its products and services. Do not use wet spoons. 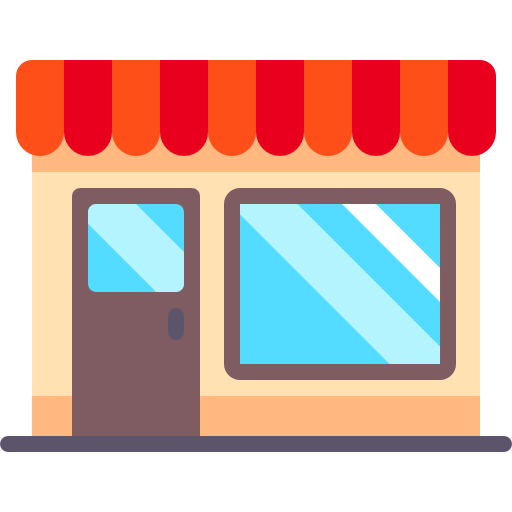 Store in a clean, dry place, away from direct heat and sunlight. Transfer the contents into an air-tight container immediately after opening this pack. Add 2 heaped spoons (about 20g) of Purotein to a cup of hot or cold milk and add Sugar if required. What are the age guidelines for Purotein? Purotein is suitable for children aged 4 years and above, as well as for all age groups with specific protein requirement. How do I ensure that my child is growing up fine? A simple home-based exercise like measuring/ checking the height and weight of your child at regular intervals will ensure to assess your child’s overall health. Please consult your Pediatrician for appropriate advice. Is Purotein suitable for my child? Yes. Purotein provides a balanced formula for growth and to build strong immunity with delicious chocolate flavor. How to prepare 1 serving of Purotein? What is RDA & DV? RDA - Recommended Dietary Allowance DV - Daily Value. RDA: ‘Recommended’ daily intakes of a nutrient for healthy people. They are indicators of the suggested intake of that nutrients one should consume on average each day. RDA is developed by the Food and Nutrition Board at the Institute of Medicine of the National Academies. They vary by age, gender, and physical condition. Thus, there are many variants of RDA for each nutrient. DV: established by the U.S. Food and Drug Administration (FDA), are used on food and dietary supplement labels. For each nutrient, there is one DV for everyone above 4 years. Thus, DV shouldn’t be mistaken for recommended intakes, but to be considered as indicators of how much nutrient a serving of the food or supplement provides in the context of a total daily diet. DVs often match or exceed the RDA for most people, but not in all cases. Where can I purchase Purotein? Purotein is available without a prescription through a number of retail outlets and modern trade retail outlets such as Star Bazaar, More, Big Bazaar and other. Is Purotein a Vegetarian product? Yes. 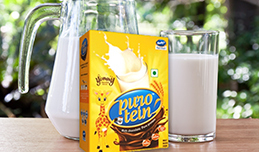 Purotein is exclusively manufactured in a facility dedicated to manufacturing of pure vegetarian products. Is Purotein high in Fat content? No. Since Purotein contains fat 0.5g per 100 gm which is not more than 0.4% by weight. Purotein helps to build lean body mass. Thank you we will be contact You shortly.